Godprints – Page 2 – Because our fingerprints identify us, and God has placed His identifying marks all over our world and lives to point us to Him! Are we willing to obey God in the little things? What about when He doesn’t give us all the facts? The disciples obeyed. The man with the water obeyed. Never think what God asks us to do is too small or too menial – let’s just trust & obey. What we may see as small, God says is important. This week let’s be looking around our home or church for what would be considered “small” jobs or things others may think are “beneath them” that need to be done and let’s do them! As we do, let’s remember as The Church we are the Body of Christ and all are important as we work together. 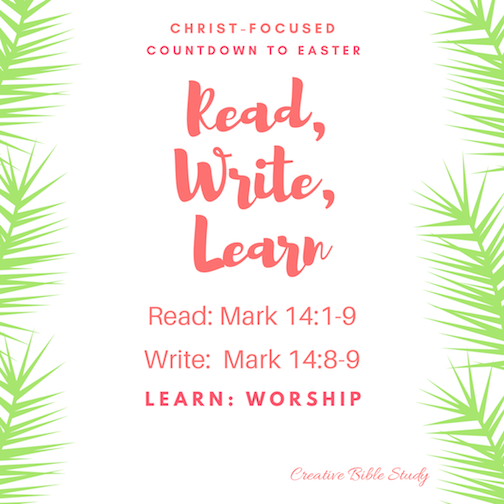 As Easter approaches, it’s a perfect time to become & stay more Christ-focused. Writing Scripture has become such a pleasure in my time with God in addition to reading it. So for the next several days as we turn towards meditating on Jesus’ last days on this earth in flesh, let’s read through and see what God has to say to us. Mary poured out her love on Jesus. Not everyone understood, but she poured out her heart nonetheless. She gave what she could, when she could. She demonstrated an act of pure worship. How will we demonstrate our worship & love for Jesus this Easter season? What can we selflessly give to Him…time, possessions, talents? What’s our greatest treasure we can pour out for His glory? Today as we see the color PURPLE let it remind us of Jesus, the King of Kings, and cause us to pause and WORSHIP! I love that children are not hindered from asking frank questions! As adults I think we sometimes become lax and don’t take the time to really think about things or aren’t bold enough to admit there are things we don’t know, or are unsure of, or just need to do a little research and brushing up! This morning a sweet mom friend of mine sent me a question from her elementary age son. Satan is not yet in Hell, but roams the earth until the end of time. The world is his realm for a time. God allows him to have authority in the world because of sin (We as humans lost that right in the garden…kind of like we turned over our deed to the earth and rights & authority God meant for us to have.) Satan is still subject to God in all things; he does not have any authority unless given to him by God. Ex: He had to ask permission to sift Peter and Job. Part 2: Satan will not rule hell; He will be tortured/tormented there like anyone else there. So…some things to think about. I love to be reminded that yes, we are to be alert & aware of Satan’s activity, but greater is He (Jesus) that lives within us as believers than he that is in the world (Satan). Satan is NOT equal to Jesus. Satan is a fallen creature (angel – Ezekiel 28; Isaiah 14); Jesus is God the Creator. (John 1; Colossians 1) Be encouraged…God has already won the battle for us! It’s already the end of week two of January 2017 and usually about the time New Year’s resolutions begin falling to the wayside. You may have expected a word like “peace”, “gratitude” or “perseverance.” I am a stubborn learner though, so God gave me the word “this” – “this day”, “this project”, “this time”, “this child”, “this person”, “this ________”… whatever fits in the blank. He is continually teaching me that even though I may like to make plans and think that I am in control…I am NOT! And although I find my brain spinning with all sorts of plans, projects, and possibilities, I can really only manage one thing at a time. When I choose not to heed this wisdom, I am missing out on the “this” right in front of me. How many times have I been in a conversation with someone and caught myself glancing past them and thinking of other things rather than what they are saying? How embarrassing and shameful! I cheat myself and them of a moment shared together connecting. How many moments do we miss tuning in to those around us – our spouse, our kids, our coworkers, our friends, or the stranger on the street because we are too busy or just preoccupied with something else? How many surprises of grace straight from the Almighty’s hand do we overlook due to worries and our own agendas? “This” calls for being flexible, it calls for an awareness of the present & His presence, and it calls for open hands that allow for God’s surprises. “This” calls for being willing to change at a moments notice. Change is never really easy; I tend to like things to stay the same. One favorite motto of mine is – “If it isn’t broken, don’t fix it!” But “this” calls me to be willing to step out of my planned schedule, my lists and my calendar. It calls me to live in a new awareness of the moment…”this” moment. It’s the day after Christmas, no more gifts to unwrap; there’s leftovers in the fridge and everyone needs a nap! This may be how it is around your house too! The kids have gone and the house is quiet again; it may feel like a bit of letdown after all the celebrations. 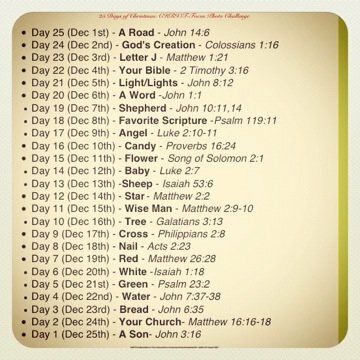 That’s why I wanted to share this last of the countdown to Christmas devotions here…to keep us looking forward! Christmas was just the beginning, not the end! You see, the Christmas story doesn’t end at the cradle, nor did it end at the cross…it ends with a crown! Okay…the photo called for a son, but when you have two…how do you choose?! One of the greatest joys of Christmas now that all our kids are grown is their coming home! There’s not much better than having all four of them (and all new additions) under one roof!!! This makes me wonder how incredible the joy God the Father must have been when Jesus, His Son, rose from the dead and then went home! Our verse today is probably the most well known in the Bible, and in it we find the brief summary of the entire Bible…all 66 books! God sent His Son Jesus as the Savior that we might have eternal life! Homecoming…what time for celebration!!! Let’s keep looking ahead to the Son’s return and our Homecoming in Heaven! 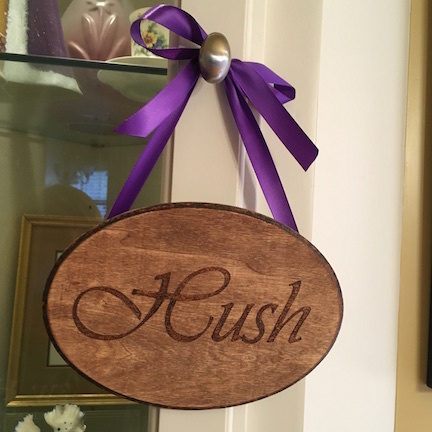 My photo for the Christmas Photo Challenge is of the word “HUSH” on a plaque a special friend gave me one Christmas. “HUSH” may seem like an odd word to be hanging around your house, but I had used it as an acronym for a Christmas devotion message I shared at our church’s ladies’ Christmas brunch. H – Is for “Him”. When we put Him (Jesus) first in our lives, He gives us that sweet “hush” of peace that all is well. It is also to remind us that He is the One that initiated it ALL! Just as in John 1:1 – He was in the beginning. All things were created by Him and for Him. The hope of salvation all began with Him. U- Is for “Us”. It is up to us to receive or reject His sweet “HUSH” of His peace. God chose to love us unconditionally. It is our choice to love Him back. Love isn’t love without a choice. 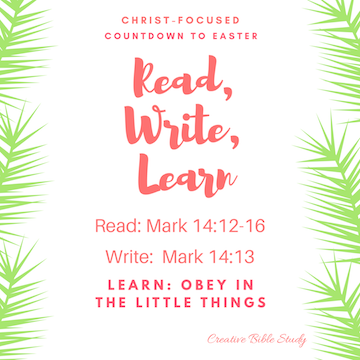 This is the sixth of the twenty-five Christmas “Journey with Jesus” countdown devotions I’m writing and putting on my site – CreativeBibleStudy.com if you’d like to read the others. Each day snap a photo of each item for a visual and use as a photo challenge on Social Media, or with your family, small group, friends or just for yourself. It’s a fun way to enjoy the presence of Christ each and every day as we look towards celebrating His first & His second coming into this world! A few years ago I put together a Countdown to Christmas Photo Challenge with Bible verses as a tool to help us keep Jesus lifted above the hustle and bustle of the holiday season. This year I’m doing it again, but also adding devotions for each photo and wanted to invite you to join me on this Christmas Jesus Journey! Let each item point your gaze to Jesus each day and meditate on the verse. I’ll be adding the devotions to Creative Bible Study Facebook Page and also to our Creative Bible Study site if you’d like to follow there. Feel free to share with others either personally or on social media! We’d love for you to tag Creative Bible Study so we get to see yours too! Let’s shine His light and lift Jesus high that others may find the Blessed Hope that is only found in our precious Savior! I took a picture of a road down in the country where my ancestors lived. 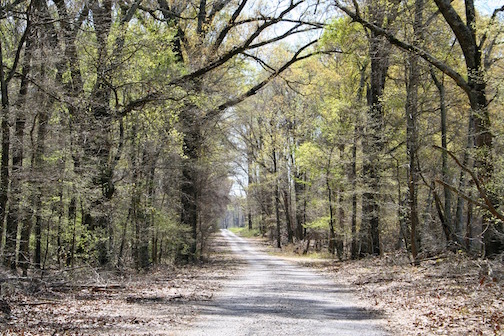 It is a quiet gravel road with the trees almost touching above having sprinkled their leaves across it’s dirt path. There are many types of roads that take us to different destinations. Some are paved and crowded with cars speeding by; while others are quiet and peaceful but can become muddy when it rains. Roads are a lot like life. Think about all the roads you will go down today; each one leads to a different destination. Sometimes we may get wrong directions and go down a wrong road never reaching the destination we desire. In the Old Testament God spoke through the prophets and they pointed to the coming of the Messiah, a Savior. He gave directions. God knew we would still make wrong turns though; that’s why from the beginning of time Jesus planned to come to earth in human flesh to not only show us the way, but to be the Way. Here in John 14:6, Jesus says He is the way, the only way, to God the Father. Today as you travel, cross, or see different roads, let them cause you to ponder on the Spiritual road you are traveling in life. Are you trusting Jesus as your Savior, as your way back to God the Father Who is in Heaven? If not, let today be the beginning of your journey with Him! Turn back to God and invite Jesus to be your Savior and Way. If you already are a follower of Christ, then today be joyful and overflowing with gratitude so that you can share with others this Good News of the Way that leads to true life! Invite others to join you on this Jesus Journey! Merry CHRISTmas season to you and yours! Both the dictionary and thesaurus view these two terms as synonyms. And though they are similar in many ways, they each actually differ in both plan and purpose. 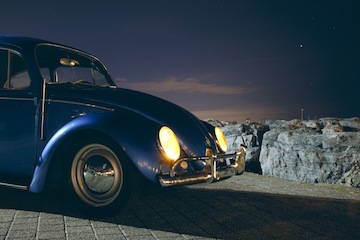 While both are considered indentations possibly caused over a period of time, a “groove” has a design of purpose while a “rut” can cause us to get stuck in routine out of habit or path of least resistance. As followers of Christ, it is important to stop and evaluate from time to time our place of service. Are we serving by teaching that kindergarten Sunday school class for the past ten years because we fit smoothly by design or because we’ve been doing it so long it’s just become comfortable? Our purpose doesn’t change – we are called to reflect God’s love, share the Gospel of Jesus Christ, & make disciples. The method in which God determines to use us may though. When we become too comfortable because we have settled into a routine or “rut,” we can begin serving out of our own strength, independent of God. A rut may begin without us even realizing it and gradually become so deep we get stuck in our own vanity, pride or even fear of change and dependence upon Him. Ruts tend to lack joy and freshness. A groove on the other hand, reflects a design by Someone greater! I grew up in the era of listening to music on record players, and now that “Vinyl” is back in style, this illustration still seems relevant. 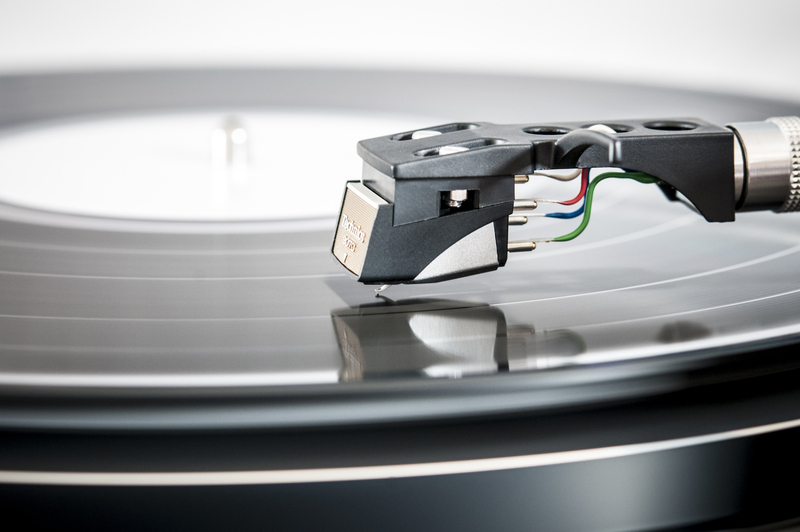 Someone greater than the needle on the player designed the grooves on a record. The needle just needs to follow the grooves already formed to play the music. Finding a new groove may seem scary, but when we allow the Master of life’s music to place us in the grooves He has designed, both our daily service and worship become a sweet tune for others to hear His song! In spite of her fears and feelings of inadequacy, Hadassah was moved from the rut of being a simple orphan girl into the groove of being a queen who could bend the ear and the will of the king to save her people all because of God’s call, purpose and power in her life. We know her better as Queen Esther! 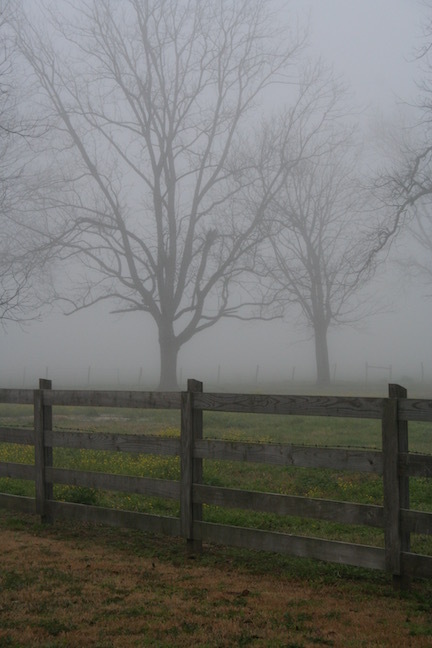 So….are we stuck in a rut or have we found our “groove” which He has designed for us…for such a time as this?